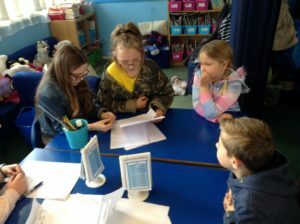 What is a School’s Governing Body? 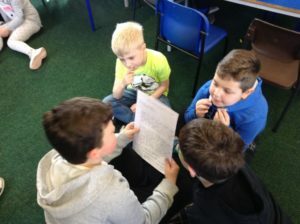 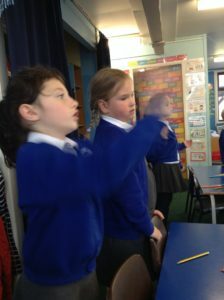 This week, Class 5 have been busy writing stories with a twist. 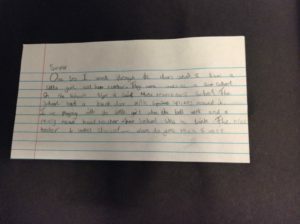 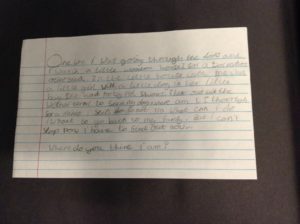 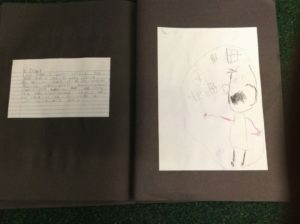 They wrote from different character’s perspectives. 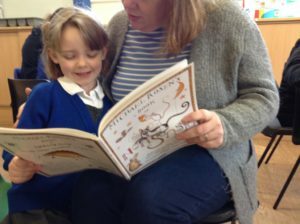 Some integrated characters from one traditional tale into another, whilst others wrote a traditional story with opposite characters. 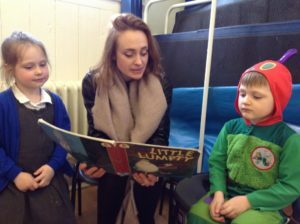 Have you ever heard the tale of The Three Little Wolves getting bothered by the Big Bad Pig? 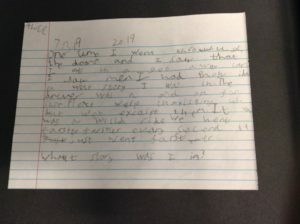 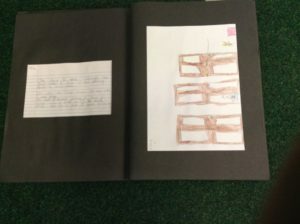 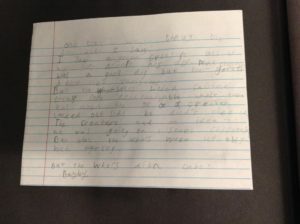 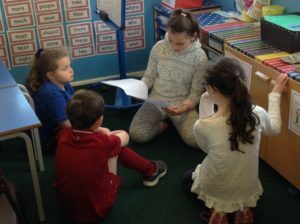 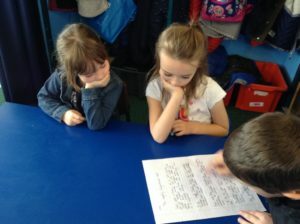 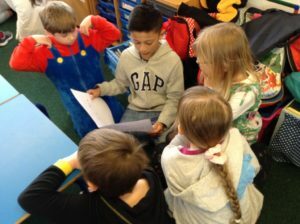 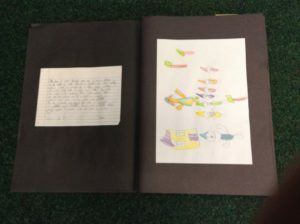 Once the writing was complete, the children came into Class 2 to share their writing. 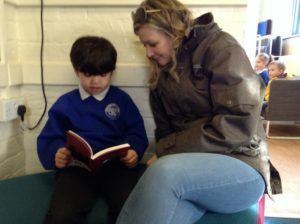 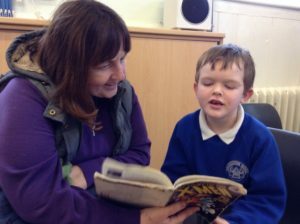 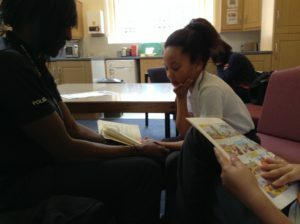 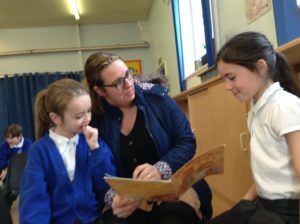 Class 2 loved being read to by an older child and questioned them on some vocabulary choices. 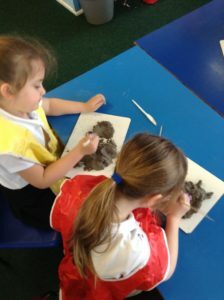 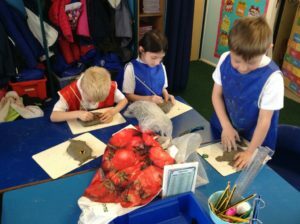 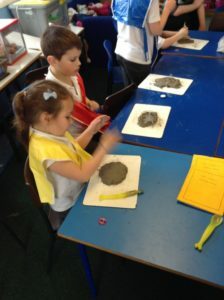 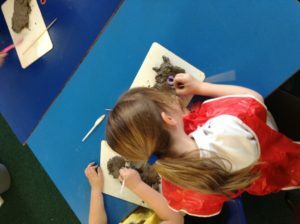 As part of our topic on China, the children used clay to create their own part of a dragon. 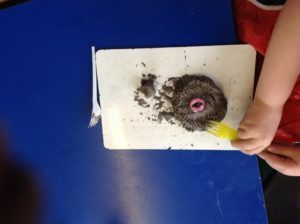 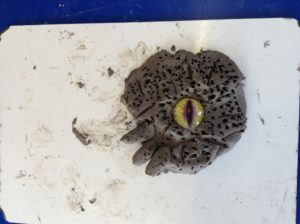 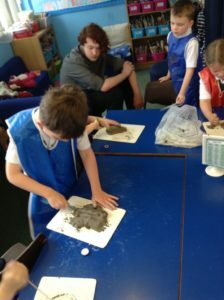 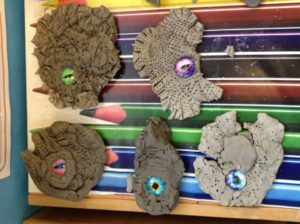 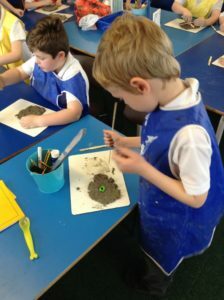 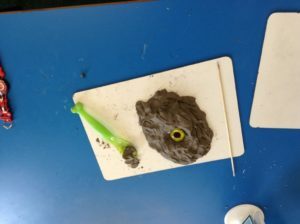 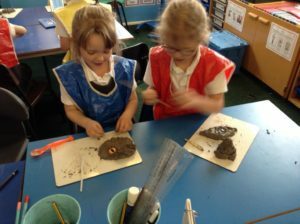 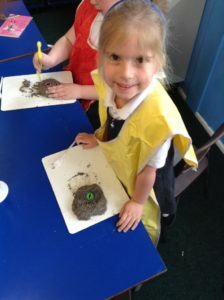 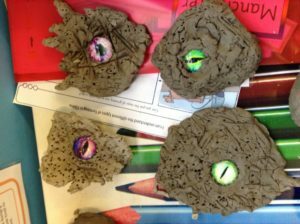 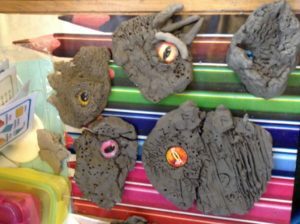 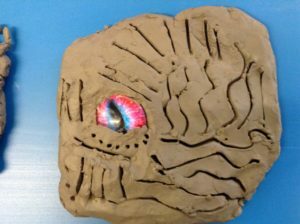 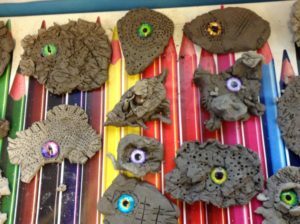 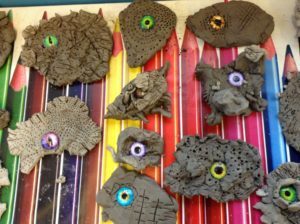 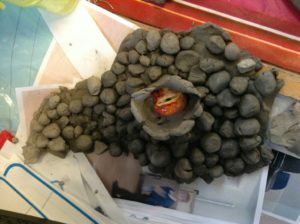 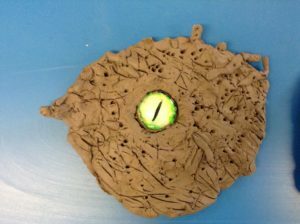 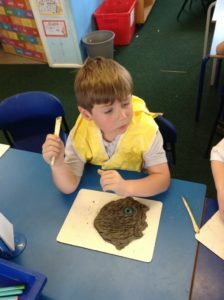 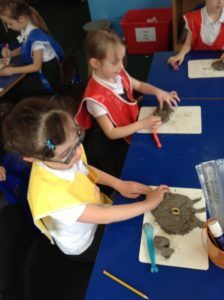 The children thoroughly enjoyed getting creative with the clay and made some superb dragon eyes. 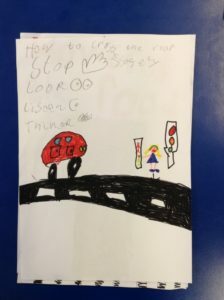 Class 2 on pedestrian training. 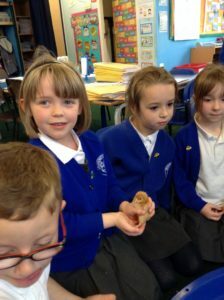 Today, we welcomed Robin and Julie into Class 2. 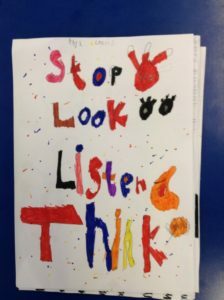 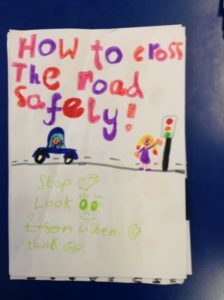 The aim of the session was to teach the children all about road safety as a pedestrian. 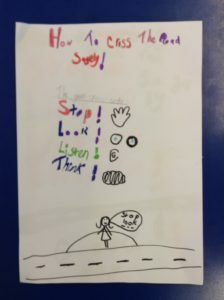 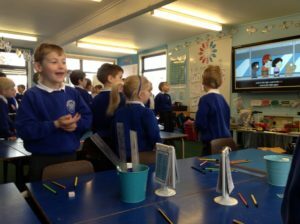 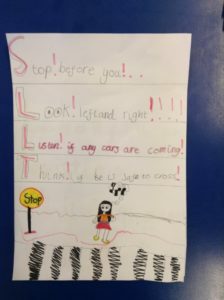 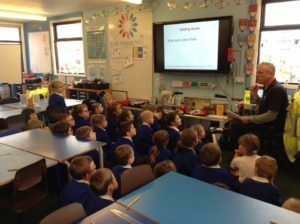 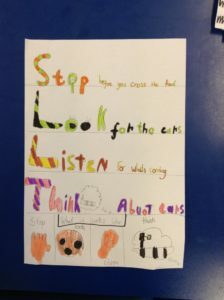 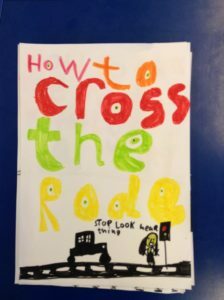 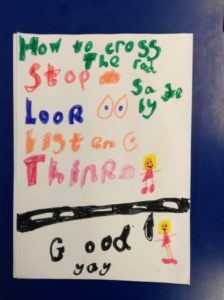 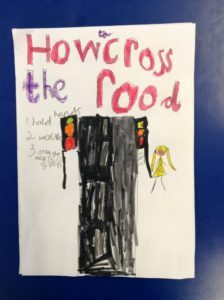 The children had some theory lessons during the morning where they learnt about the Green Cross Code, as well as strategies for walking to school. 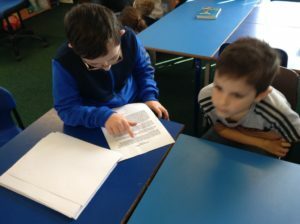 During the afternoon, they went for a walk where they were able to put the theory into practise. 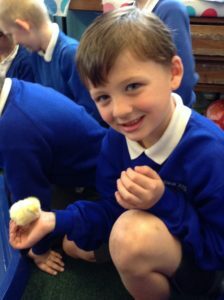 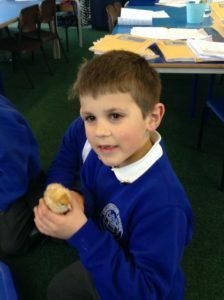 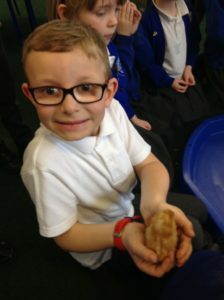 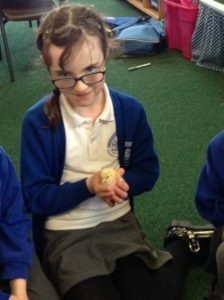 Class 2 have really enjoyed watching the chicks hatch this week. 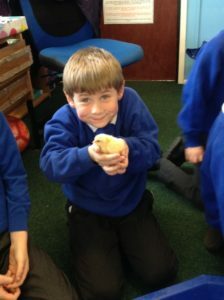 We currently have 3 girls and 4 boys. 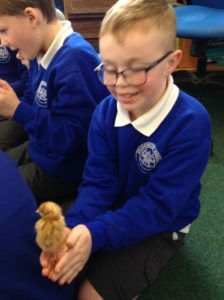 They are already getting big and strong and certainly make themselves known within the class with their cheeping! 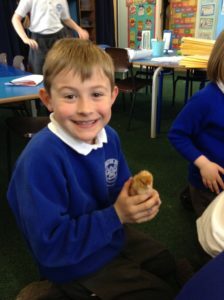 This afternoon, the children were really excited to be able to hold the chicks. 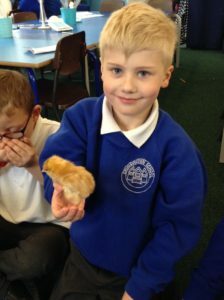 Wednesday 3rd April. 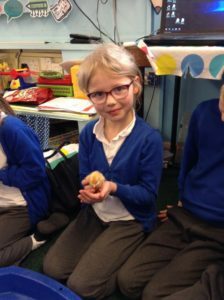 We have one chick hatched early this morning. 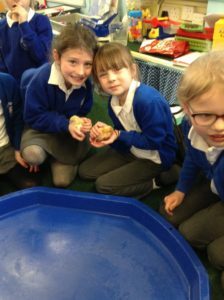 Another one is trying to hatch..
Class 2 have the Living eggs project in the classroom. 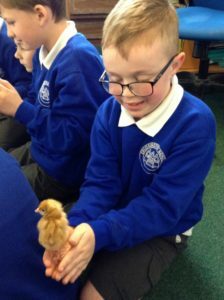 How many will hatch this year? 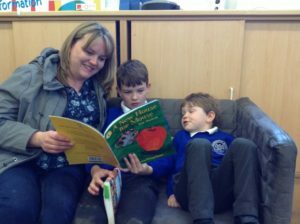 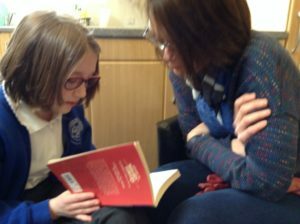 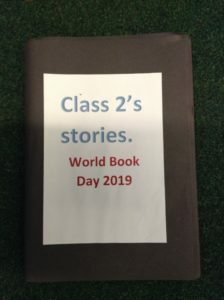 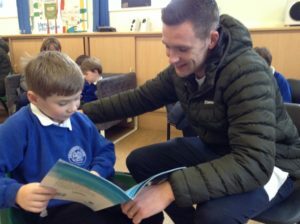 Share a story – World Book Day. 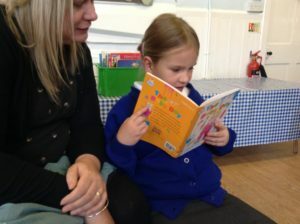 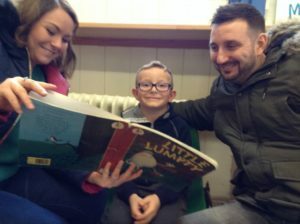 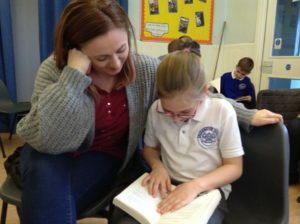 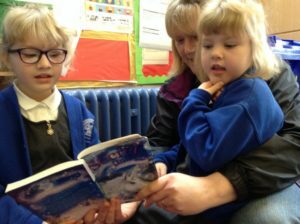 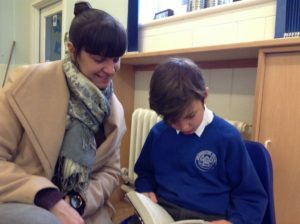 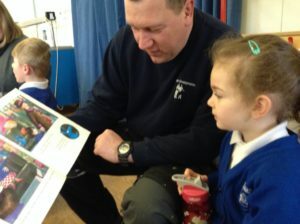 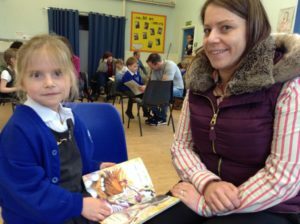 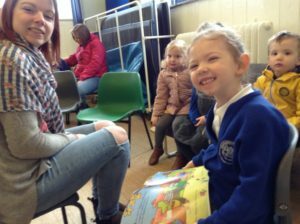 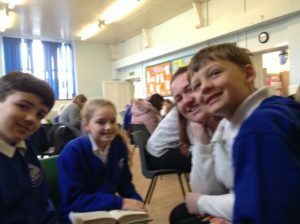 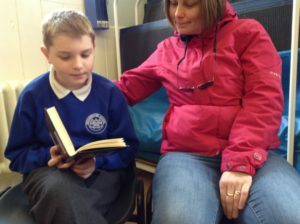 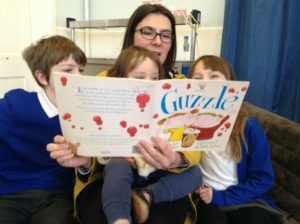 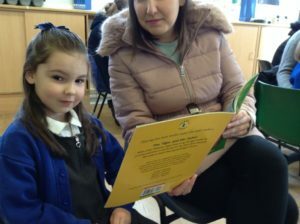 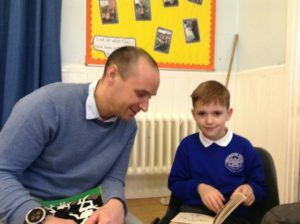 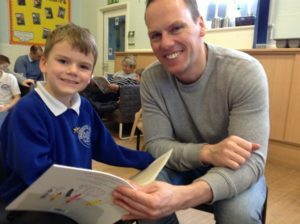 On Friday, we welcomed parents and carers into school to help celebrate the World Book Day theme of ‘share a story’. 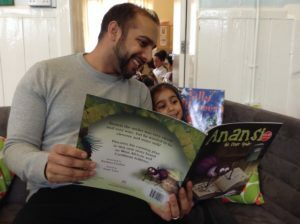 Thank you to all who took part and we hope you enjoyed sharing stories with your children. 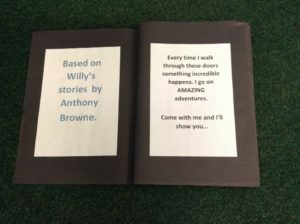 Class 2 used the Anthony Browne story of ‘Willy’s Stories’ for World Book Day. 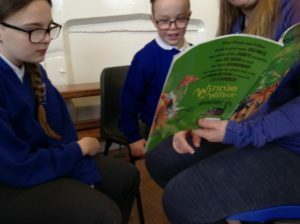 They enjoyed listening to the story, where Willy goes through different doors to explore the adventures in stories. 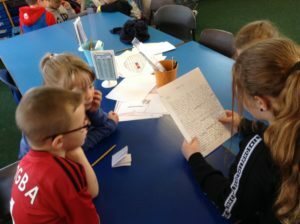 They then chose their own favourite stories and created illustrations. 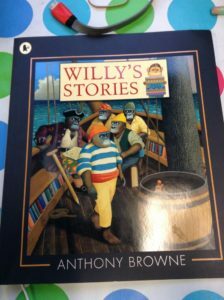 Such amazing stories following the writing style of Anthony Browne. 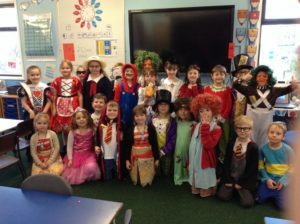 Class 2 looked amazing today in their costumes.